Once diagnosed with the critical and life-threatening disease, her parents began searching all over the Internet and came across Aashish Chaudhry with whom they discussed her case. A 10-year-old girl from Uzbekistan suffering from bone cancer got a new lease of life after undergoing a unique surgical procedure at a city hospital. Mftuna Kamilova was suffering from pain and swelling on her left thigh and was diagnosed with osteosarcoma, a very aggressive and malignant cancer that normally affects thigh or leg bones, said Dr Aashish Chaudhry, the managing director and the head of orthopaedics and joint replacement department of Aakash Healthcare Super Speciality Hospital. Once diagnosed with the critical and life-threatening disease, her parents began searching all over the Internet and came across Dr Chaudhry with whom they discussed her case. They brought Mftuna to Delhi and got her admitted at Aakash Healthcare on November 15. "In most cases of osteosarcoma, doctors suggest amputation. But considering her young age, we had to save her limb. 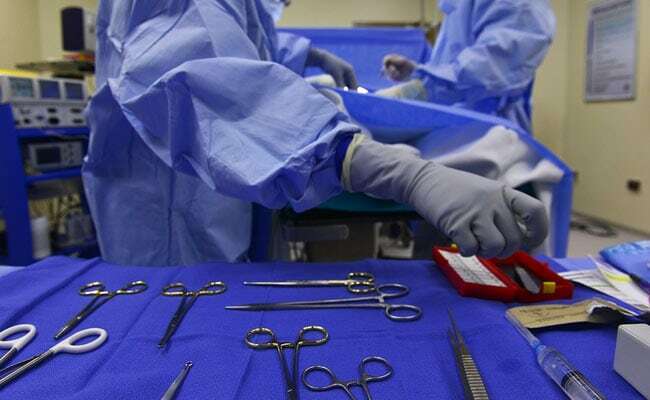 One option was to replace the tumour-affected bone with a metal implant (customized prosthesis), but it was too expensive for the patient's family", Dr Chaudhry said. "Another option was to use her mother's bone. But, in cases where the bone is more than 12 cm, there are high chances of fractures and other complications in the future," the doctor said. Orthopedic and oncology experts were roped in for the surgery. A green corridor was created between a nearby advanced pathological centre and the affected bone was sent there to eliminate the cancerous parts. The bone was then brought back to the operation theatre for final surgery. All this was done within 45 minutes. The excised bone was stripped off of all soft tissue attachments, cleansed thoroughly and soaked in vancomycin-saline gauze. The resected bone was then given radiation and brought back to the operation theatre. It was cleaned with saline and the marrow was removed with the help of reamer. "Bone cement was used to fill in the cavity of the resected bone, sparing 2-3 cm on either side. Finally, the resected bone was fixed with the parent bone with the help of Long Proximal Humerus locking plate. The resected muscles were re-sutured. The patient got her previous bone back and is in a healthy condition now," Dr Chaudhry said. The patient is recovering quite fast and will soon be discharged from the hospital, he said. Mftuna's father said, "I was extremely worried for my daughter. From the Internet and later with the help of an Indian Doctor, I came to know about Dr Aashish Chaudhry and his expertise. My daughter has got a new life now."